The officers arrived at the scene and quickly determined there were no issues – so they joined in. 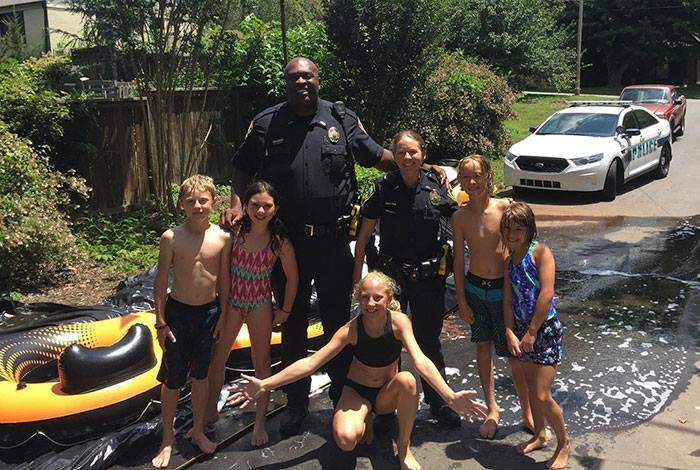 “I’m not here to break up your fun,” Carrie Lee, one of the officers, told the crowd before going down the slide in full uniform. “They had such good energy. All the kids were loving it,” resident Travis Eagledove told ABC News.